Has anyone had issues with the ewheels fast charger. My charger stopped working today, its stuck at 74.6volts and wont go any higher, anyone else had issues with it? I think there was a bad batch according to @Jason McNeil IIRC. On the flip side, Marty was able to fix his. ..the ---- charger is working properly. So I had a chance to check out my 84V eWheels charger yesterday. 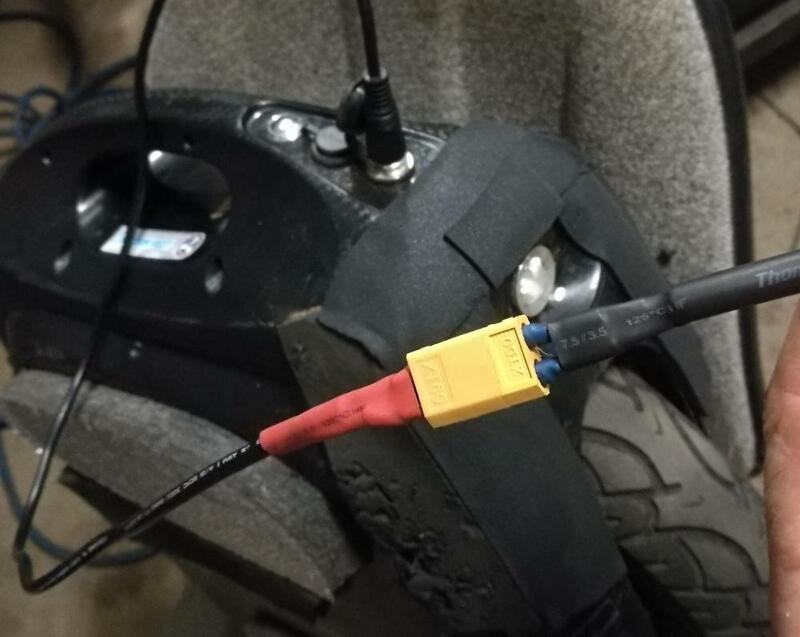 If you want to check if the charger is broken or the battery pack is the culprit, just disconnect the charger from the wheel and see what voltage it shows. It should ramp up to the maximum output voltage of some 84.x V. If it does, the charger is very likely totally fine and it's the battery pack that has a problem as @Bob Eisenman had described above. My charger just stopped working, 84v. When it’s turned on, it caps out at 75.1 volts. And it occasionally blinks the light red and then goes back to green. This is a sign of a faulty charger, correct? I tried charging both my monster and acm and it stopped at 75volts on both. And I don’t think either wheel has bad cells. Oh wait, as I’m typing this, the idle voltage of the charger is going up and down. Something is definitely up. I’ll see if anything looks bad inside, and then contact Jason. Update: My board layout is a bit different than Marty’s, my fuse is oriented differently and that component is either absent or relocated somewhere else. Nothing looks burnt or broken. Yeah, my failure was the catastrophic type. Yours and others symptoms are of the type that is probably not user fixable. Hopefully there's more than a 30-day warranty. The original stock charger will full charge each EUC if no bad cells exist. Yep, I’m charging the monster with no issues right now using the stock charger. And I would be surprised if both wheels don’t reach 100%. ..the fast charger is working properly. that definitely isnt true. the chargers output should be 84v, i used my friends charger and it worked fine (also from ewheels). nothing wrong with my batteries. Just an update, I received a replacement fast charger from eWheels yesterday and it works great! They had me send back my broken one, presumably to troubleshoot/fix the issue in the next iteration. 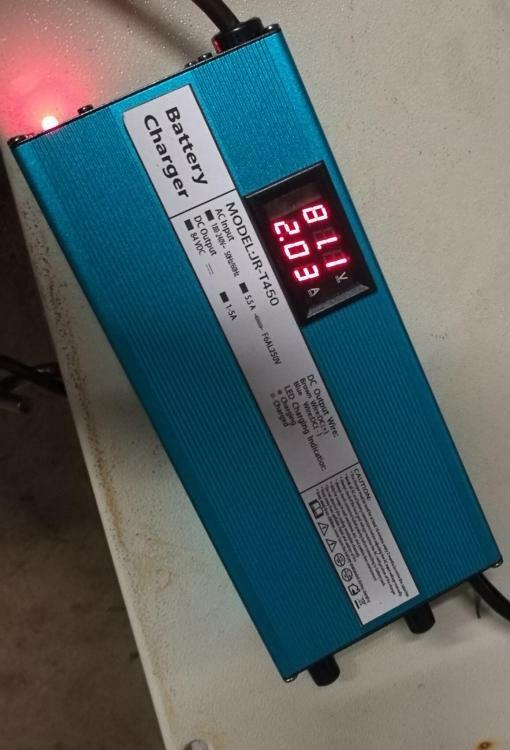 So .... what ever happened to your stock charger , the slow charging one that would have charged your battery to 84 volts, or did your fast charger ship as the only charger to use?